Studio limited Editions specialise in producing collections of fine quality artworks and these are certainly no exception. 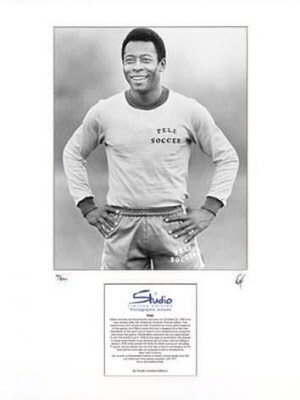 All photographs are limited to 2,500 copies worldwide and are individually hand-signed by the photographer or a representitive of the company. Each one is mounted and numbered, and comes with a certificate of authenticity so you know you are getting the real deal They also come with a printed write up of the subject, so you get more of an insight into the person.